If you were around in July 1969 when Neil Armstrong took his first step on the moon, you may or may not remember another big news story that took place at the same time. 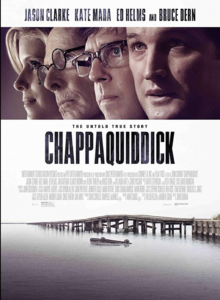 Senator Edward Kennedy, youngest brother of John and Robert Kennedy accidentally drove his car off a small bridge in Chappaquiddick, which resulted in the death of a young woman by the name of Mary Jo Kopechne. Up until that moment, many people felt that the younger Kennedy was destined to become President of the United States. The actions of Edward Kennedy on that evening and in the subsequent week are a fascinating study of a man at the crossroads of his life where his honesty and integrity were truly tested and his human frailties were exposed. This was a very well done script, which was written by Taylor Allen and Andrew Logan who were too young to have remembered or experienced this event as it unfolded in this country. They apparently reconstructed the story mainly from the voluminous record of the inquest of the death of Mary Jo Kopechne. 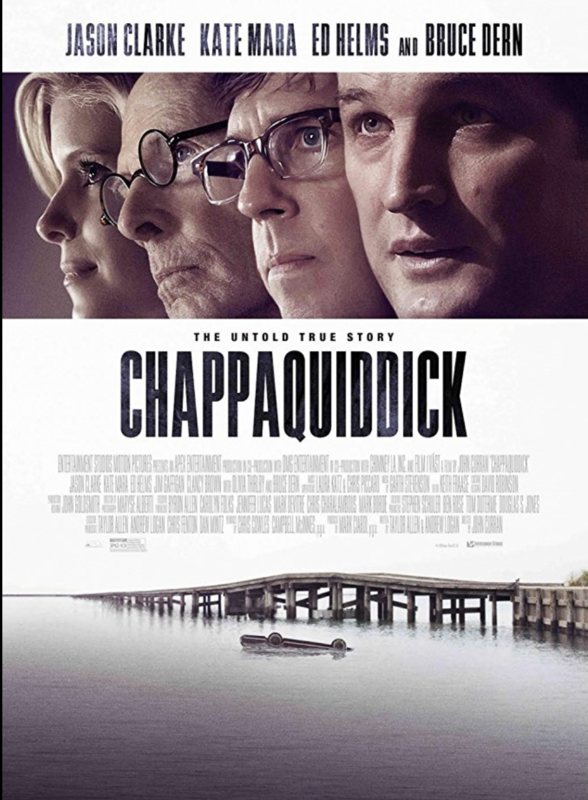 Jason Clarke was outstanding as Edward Kennedy and the supporting cast was excellent including Kate Mara as Mary Jo Kopechne and a superb performance by Ed Helms who played Kennedy’s cousin who was a key player in the aftermath of this tragedy. Credit must also go to director Joe Curran for recreating a very realistic depiction of the events of this tragedy as well as an in depth character study. The story also shows an insight into the dominant role that the patriarch Joe Kennedy (Bruce Dern) had on his family even in the later years ,of his life. We had the pleasure of meeting two of the producers of this film, Mark Ciardi and Campbell McInnes who tried very hard to bring to the screen this even-handed view of the events of this major news story and historic event. It appears that they may have gotten very close to the truth, but we probably will never know for sure.